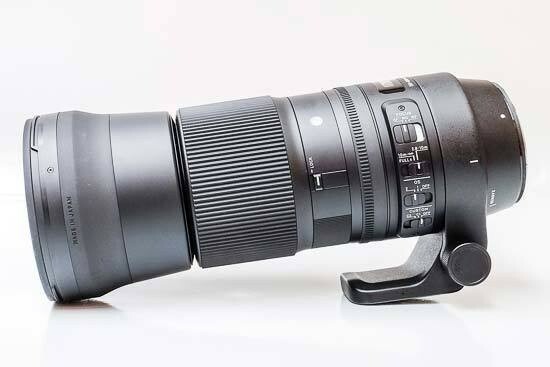 Reviews of the Sigma 150-600mm f/5-6.3 DG OS HSM Contemporary from around the web. The Sigma 150-600mm f/5-6.3 DG OS HSM Contemporary Lens review was created simultaneously with the Sigma 150-600mm f/5-6.3 DG OS HSM Sports Lens review. It is very unusual to be reviewing two just-released lenses from the same manufacturer that share the same focal length range and the same aperture range. Even many of the features of these lenses are shared, including the extensive switch functionality and the OS feature. So, you will recognize some content shared between these two reviews. The Sigma 150-600mm f/5-6.3 DG OS HSM Contemporary ($1,089) is a big, heavy lens. But that's no surprise when you consider its maximum reach, full-frame sensor coverage, and sturdy build. A strong image stabilization system will helpyou get crisp handheld shots at slower shutter speeds when dealing with cooperative subjects.